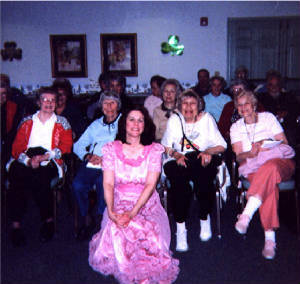 In September of 2011, Michelle Russell appeared at The Davis Manor South in Hazleton, Phoebe Home in Allentown and entertained at The Jewish Home Ladies Auxilliary Club Luncheon in Scranton. The Three Blondes - A Tribute to Peggy Lee, Doris Day and Marilyn Monroe - This new shows is Michelle's most popular show yet. In the show, Michelle tells the story of these three famous blondes and sings some of their most famous songs including: "Why Don't You Do Right," "Diamonds Are Girls Best Friend," "Que Sera, Sera," "Fever," "I Wanna Be Loved By You," "Manana," "Secret Love" and many more! This is a lively, fun and glamourous show! 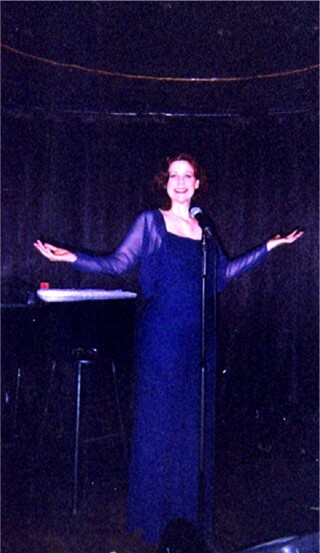 Love Songs - is a one hour cabaret show featuring some of the classic romantic love songs of the 20th Century. 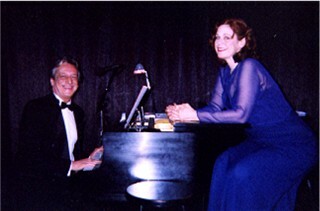 It has been performed with great response both on the New York Cabaret stage and all over the U.S. Songs include: Chances Are, Love and Marriage, My Romance, Stompin At the Savoy, It's A Sin to Tell A Lie and many more. Say It With Music - The Story of Irving Berlin - a 70 minute show which features the life story and great songs of America's beloved songwriter, Irving Berlin. This is a show full of nostagia and patriotism. Songs include: Alexanders Ragtime Band, Russian Lullabye, You Can't Get A Man with a Gun, A Pretty Girl Is Like A Melody and God Bless America. Also available - a Spring Show which is a mix of several other shows! This performance runs approximately 60 minutes. Michelle and Jerry Scott recall "Stompin' at the Savoy"
November - January will be in Murfreesboro, TN. Thanks for visiting! Stay tuned! who thoroughly enjoy her shows!